Mouse studies herald potential new drug treatment for childhood leukemia. Researchers at the Northwestern’s Simpson Querrey Center for Epigenetics have been studying the MLL protein–the one associated with the spread of leukemia–with the hopes of slowing the progression of the disease. 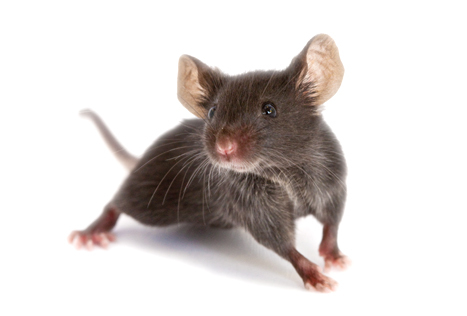 Using mice as a model, their work over the last two decades has aimed to bring survival rates up to 85%. They previously found that the Super Elongation Complex” (SEC), and more recently that stabilizing the MLL protein can slow the spread of the disease. They are now turning their results in mice into the development of a drug that they hope can be taken to clinical trials. Is neuronal loss a beneficial effect of Alzheimer’s disease? In 2015, researchers found that clearing unfit cells from a tissue was a very important anti-aging mechanism–to preserve organ function. They hypothesized that is this happened in normal aging, it may also occur in diseases with “accelerated aging” such as dementias. To test this, they bred fruit flies (Drosophila melanogaster) that had been genetically modified to express brain amyloid-beta, a protein that forms aggregates in the brains of Alzheimer’s disease patients; the flies displayed Alzheimer like symptoms. 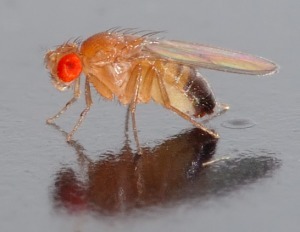 While this is unsurprising, they also found that boosting cell death of unfit cells, lead to impressive recovery of flies expressing amyloid-beta. Dr. Moreno, lead researcher stated, “This means that the anti-aging mechanism in question keeps working well in Alzheimer’s disease and shows that, in fact, the neuronal death protects the brain from more widespread damage and therefore the neuronal loss is not what is bad, it is worse not to let those neurons die.” Published in Cell Reports. Wireless ‘pacemaker for the brain’ could offer new treatment for neurological disorders. A new neurostimulator developed by engineers at UC Berkeley can listen to and stimulate electric current in the brain at the same time, potentially delivering fine-tuned treatments to patients with diseases like epilepsy and Parkinson’s. The device, named the WAND, works like a “pacemaker for the brain,” monitoring the brain’s electrical activity and delivering electrical stimulation if it detects something amiss. These devices can be extremely effective at preventing debilitating tremors or seizures in patients with a variety of neurological conditions. Proof of principle of this device was performed using non-human primates. Published in Nature Biomedical Engineering. Better mouse model built to enable precision-medicine research for Alzheimer’s. New research has found that incorporating genetic diversity into a mouse model of Alzheimer’s disease resulted in greater overlap with the genetic, molecular and clinical features of this pervasive human disease–improving predictive validity. To do this, researchers combined a well-established mouse model of familial Alzheimer’s (5XFAD) with a genetically diverse set of mice. All members of this family of transgenic mice therefore carry the high-risk human familial Alzheimer’s genes but otherwise have very different genetic make-up. The detailed analysis of this new panel of mice showed a high degree of overlap with the genetic, molecular, pathologic and cognitive features of Alzheimer’s. Moreover, in the presence of identical Alzheimer’s risk genes, the differences in genetic background led to profound differences in the onset and severity of the pathologic and cognitive symptoms of Alzheimer’s. Finally, through a series of comparative analyses, the research team also discovered that one mouse strain, C57BL/6J, commonly used to generate Alzheimer’s transgenic mouse models, harbors resilience factors that lessen the impact of Alzheimer’s risk factor genes. Published in Neuron. Posted on January 4, 2019 January 3, 2019 by EditorPosted in News, Research RoundupTagged alzheimer's, cardiovascular, leukemia, pacemaker, predictive validity.